Old heroes, new albums, it is always a difficult thing. How many good and how many bad hours did you spend accompanied by the music of Bad Religion? And now adding new stuff to all these memories and feelings? Yes, if not why did I purchase „The Dissent Of Man“ from Greg Graffin, Jay Bentley, Brett Gurewitz, Brian Baker, Greg Hedson and Brooks Wackerman? The new Bad Religion LP starts with some songs which sound like old stuff (although Bad Religion always sounds like some other songs of them – some say it is always the same some, just a bit different – fortunately I like this song) then there is some kind of Radio-song. When Bad Religion hits the speed it just fits better to them. I prefer the A-side and after several runs I can say it was no mistake purchasing the record, but Suffer and No Control were there before and are the milestones of Bad Religion. Wirklich Nice! Gefällt mir! 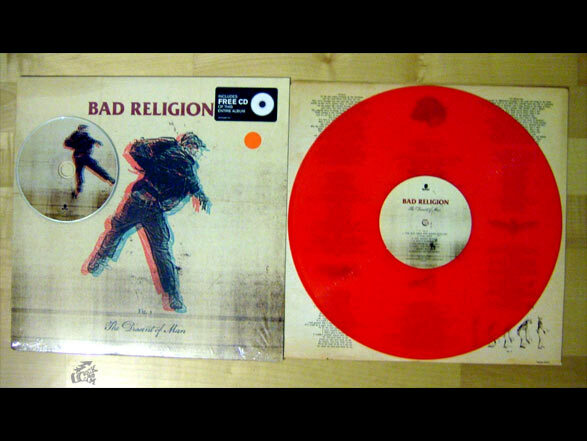 Bad Religion rules! Wo ist der Like Button für Facebook?